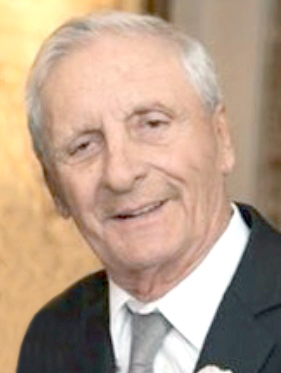 Dominick A. Fanelli, 85, of Sun City Center, Fla. passed away January 29, 2019, at St. Joseph’s Hospital in Riverview, Fla. Born in Torre di Ruggiero, Cantanzaro, Italy, on May 26, 1933, he emigrated to the United States in 1936 and with his family settled in White Plains, N.Y.
Dominick was preceded in death by his parents Saverio and Giovanna Lombardo Fanelli and his brothers Vincent, Frank, Sam and Gus Fanelli. He is survived by his wife of 63 years Joan Milton Fanelli; children Donald Fanelli, Brian (Sonja) Fanelli and Dana Ann Fanelli Ippolito (Ralph); grandchildren David (Nicole) Fanelli, Kimberly Fanelli Insley (Ian), Jessica Ippolito Vitch (Jesse), Gregory Ippolito, Kyle Fanelli, Andrew Fanelli; great-grandchildren Benjamin, Alexander, Julianna and Ian David Jr.; and brother John (Marie) Fanelli. 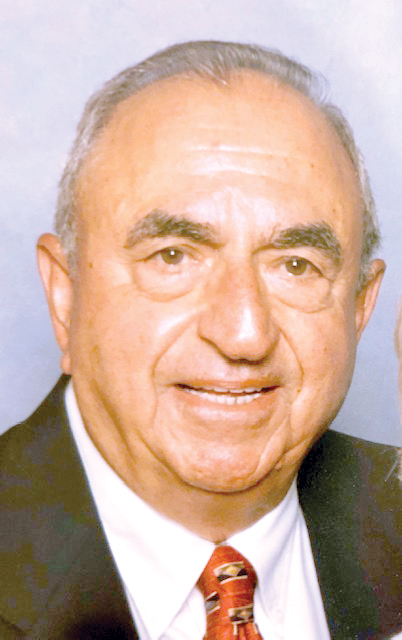 Dominick retired from Flower Foods where he was a route salesman and the Byram Hills Central School District where he was a dedicated school bus driver. Dominick drove for two local school districts from 1974-1996. He was a graduate of White Plains High School in New York and also served active duty in the U.S. Air Force from 1951-1953 during the Korean Conflict. Dominick and Joan moved to Sun City Center in 1998 and became parishioners at Prince of Peace Catholic Church. Dominick was an avid softball player as soon as they moved here, earning the nickname “Long Ball Fanelli” for all of the home runs he hit. He continued to play softball until this past summer at the age of 85! He was a big N.Y. Yankee fan and had been scouted by them as a teenager. Dominick never knew a stranger, and he would talk to anyone who stood still long enough to listen. He loved driving his golf cart around to the local businesses chatting away and comparing fliers and coupons to get the absolute best deal! Dominick also drove the mini bus in Sun City Center for several years before driving over at Kings Point. Above all, Dominick was a loving and devoted husband, father, father-in-law, grandfather and great-grandfather. He loved his family beyond measure, and he will be missed tremendously by all of them. In lieu of flowers, contributions can be made in his memory to: The American Heart/Stroke Association, 10 Glenlake Pkwy. N.E., South Tower Suite 400, Atlanta, GA 30328 or at 1-800-AHA—USA1. The Hayes family announces with great sadness the loss of Frederic D. Hayes on Wednesday, January 23, 2019. He was born on December 27, 1943, in Miami, Fla. to Stella and Hamilton Hayes. In 1978, he married Mary Phang and is survived by his wife and children Wendy, Freddy Jr., David, Linda and Amy. His family, friends and neighbors will miss his unique sense of humor, caring heart and calm demeanor. A private family memorial service will be held, and his final resting place will be at Mansion Memorial Park in Ellenton, Fla. Memorial donations in Fred’s name can be made to The American Heart Association. Gerald Thomas (Jerry) Karpinski of Tully, New York died peacefully on June 7, 2018, surrounded by his family. He was born on June 28, 1940, to the late Veronica (Podolak) and Anthony Karpinski in Syracuse, New York. 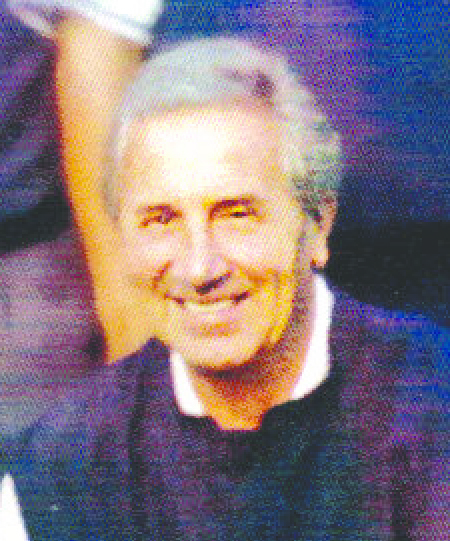 He graduated from St. John’s the Evangelist High School (1958) and LeMoyne College (1964). During high school, Jerry played baseball and basketball in the Parochial League where he formed lifelong friends. Jerry began his career as the owner of the “Library” for 10 years, then worked the next 40 years as a Sales Representative in the Optical business, but his true passion was golf. Jerry started playing as a young boy and became an excellent golfer. He won club championships at Drumlin’s East, Green Lakes and Caloosa Country Clubs. In addition to winning numerous Member Guests at over seven different clubs, he won the Senior Men’s Post Standard, Senior Men’s Syracuse District, the City Wide (Sun City Center, Fla.) and a number of Couple’s Golf Championships. He began a scholarship fund to help student athletes after his son passed away in 1984 at the age of 17. The Mark Karpinski Scholarship fund helped student athletes for over 20 years. When not on the golf course, Jerry could be found tending his beautiful gardens in Tully. Jerry was a devoted father, husband and loved being around his family. Jerry is survived by his loving wife Cheryl (Klier); his daughter Jill Karpinski (Lisa) and grandson Nicolas Karpinski of Middletown, Delaware; his brother Edward Karpinski (Shirley) of Syracuse; and three nieces and three nephews and their families. Jerry is predeceased by his son Mark Karpinski and by his first wife (divorced) Jaqueline van Hall. Friends will remember many things about Jerry, but especially his sense of humor and how much he made us laugh. A Memorial Mass will be celebrated on Tuesday, February 12, at Prince of Peace Catholic Church, 702 Valley Forge Blvd. in Sun City Center, Fla. with a reception and light refreshments held afterwards in the Conessa Center. The family would like to thank the numerous medical providers, including those at South Bay Hospital, for their care and compassion for Jerry, especially last year. 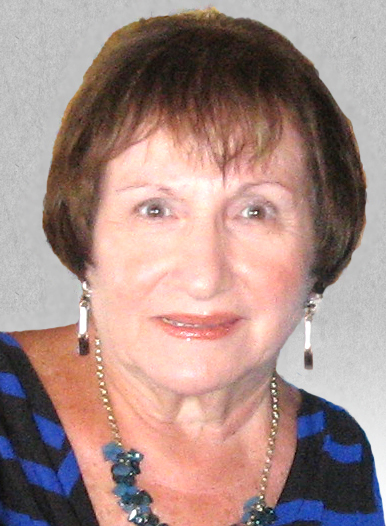 Carole M. Maddaloni, 80, of Sun City Center, formerly of Moriches, N.Y. succumbed to a brave, but losing battle with cancer. Survived by John her loving husband of 60 years, son John (Tracey) of Albany, N.Y., brother, Albert (Dorothy) of Wantagh, N.Y. and many loving nieces and nephews. She was cheerful, hospitable, charitable and considerate and touched all who she met, especially fellow members of the Duplicate Bridge Club of Sun City Center. A Memorial Mass will take place at 10 a.m. on Tuesday, February 19, at Prince of Peace Catholic Church, 702 Valley Forge Blvd., Sun City Center. Should you wish to make a donation in Carole’s memory, please consider the American Cancer Society or St. Jude Children’s Research Hospital. Arrangements by Sun City Center Funeral Home, 813-634-9900. Erma Miner, 97, passed away on January 17, 2019. She was the beloved wife of the late Don Miner for 69 years. They were married in 1948. Erma graduated from the University of the State of New York at Albany, once known as N.Y. State Teacher’s College. She worked a few years teaching high school then joined the family’s insurance agency and worked there until she retired as the owner. After retiring, she moved to Sun City Center, Fla.
She was an avid golfer and founding member of the Caloosa Golf and Country Club. Erma was a very involved parishioner and volunteer at Prince of Peace Catholic Church. Preceded in death by her parents Olive M. (Billingham), Harry F. Inglis Sr., Brother Harry F. Inglis Jr. and Sister Helyn Onyon, Erma is survived by brother Richard P. Inglis from SCC and 12 nieces and nephews. Erma will be laid to rest next to her beloved husband Don in Sarasota National Cemetery on February 7 at 9:30 a.m. Arrangements by Sun City Center Funeral Home, 813-634-9900. Mrs. Dorothy Morris of Bellaire, Florida passed away on January 25, 2019, after a long illness. A memorial Mass service will be held on Saturday, February 9, at 1:30 p.m. at The Cathedral of Saint Jude the Apostle’s Chapel, 5815 5th Ave. N., St. Petersburg, FL 33710. A reception at the church will follow. Dorothy was born in 1930 in Syracuse, N.Y. to John and Adeline Zimmer (deceased) and attended LeMoyne College. This is where she met her husband John Morris. They were married for 64 years until he preceded her in death two years ago. 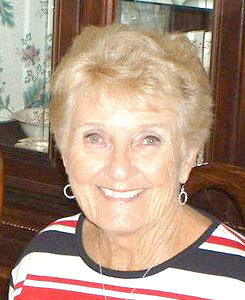 Dorothy moved to the Tampa Bay area in 1972 and lived in the Baycrest subdivision and then retired to Sun City Center. It was here that Dorothy discovered a passion for golf that she shared with John and friends. Dorothy worked for many years at Hillsborough Community College until her retirement. Dorothy was an active member of Prince of Peace Catholic Church in Sun City Center for over 20 years. Dorothy moved to Bellaire (Clearwater) after John’s passing. Dorothy is survived by two children, Robert (LuAnn) Morris of Lawrenceville, Ga. and Mary (Robert) Sinibaldi of St. Petersburg, Fla. She has four grandchildren and seven great-grandchildren. In Lieu of flowers, the family requests donations be made to Golden Retriever Rescue of Mid Florida (GRRMF, P.O. Box 1449, Goldenrod, FL 32733 www.grrmf.org/donate/) or your favorite Hospice. 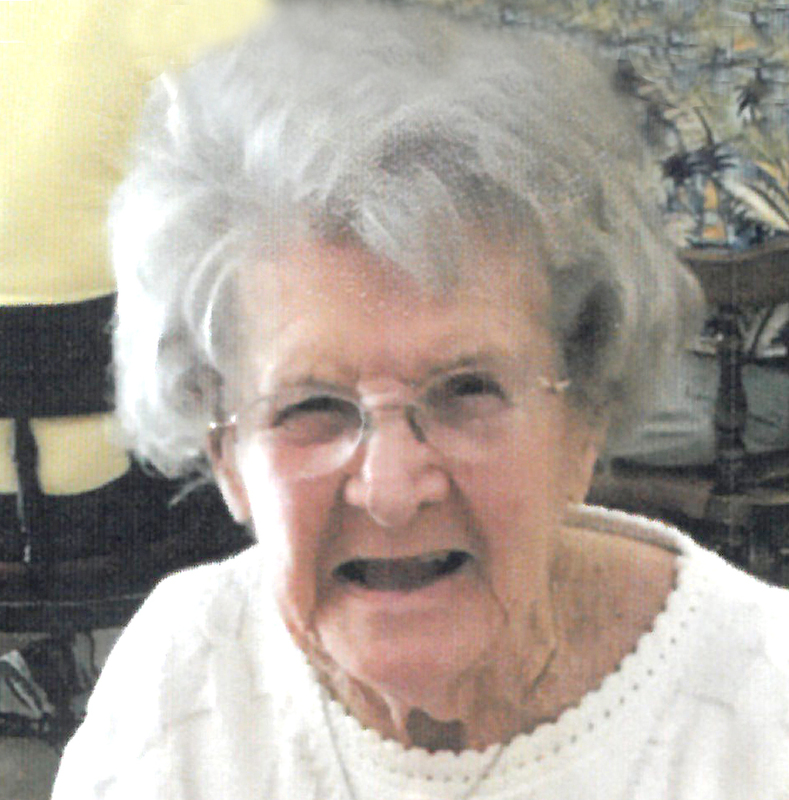 Dorothy G. Renshaw, 99, of Sun City Center, passed away on January 5, 2019. Dorothy was born on December 28, 1919, in Chicago, Ill. She enjoyed reading, knitting, dancing and crafts of all kinds. Dorothy is survived by her nephews John Gundel of Tennessee and Robert Gundel of California; and lifelong friend Phyllis Elsberry of Brandon, Fla. Arrangements entrusted to National Cremation & Burial Society, Ruskin, Fla.
John V Scott, 92, passed away peacefully on January 25, 2019, in Sun City Center, Florida. John was born in South Milwaukee, Wisconsin, to Owagin and Angela Yelanjian. John had one younger brother, Berg Yelanjian. He is survived by his wife Nancy of 70 years, four children, four grandchildren and eight great-grandchildren. John moved to Florida with his family in 1973 and retired in 1988, moving to Sun City Center in 2004. John enjoyed golf, bridge, and singing in his spare time, especially with The Tampa Chorale. A service to celebrate John’s life will be held at 10 a.m. on Saturday, February 16, 2019, in the Forum North Room at Kings Point 2020 Centre, 2020 Clubhouse Dr. in Sun City Center. Lunch will be served at 11:30 a.m.
Remembrances may be left at www.sylvanabbey.com. In lieu of flowers, donations may be made to Life Path Hospice at Sun City, 3723 Upper Creek Drive, Ruskin, FL 33573. Carroll C. Trombley Jr., 82, of Sun City Center passed from this life on January 18, 2019, after an extended illness. Carroll moved to Sun City Center in 2001 while employed by Sears Roebuck and later the local Winn-Dixie. He leaves behind his wife of 39 years Judi; Sons Kenneth and Steve; Daughter Lori and four grandchildren. A Celebration of Life will be held at the United Methodist Church of Sun City Center on Friday, February 15, at 11 a.m. In lieu of flowers, donations can be made in Carroll’s memory at www.apdaparkinson.org. Arrangements by Sun City Center Funeral Home, 813-634-9900. Althea L. (Allen) Wood, 97, of Sun City Center, died January 21, 2019. She is survived by her son Allen Wood (Shirley) of Tampa and daughter Wendy Scott (Thomas) of Punta Gorda and grandchildren, Christopher Wood and Cynthia Traeger (William), and preceded in death by her husband of 66 years Robert Wood. Born in Point Independence, Wareham, Mass., she worked at the Onset, Mass. Post Office. Althea lived in Florida since 1941. She was employed during World War II at the Pensacola NAS and the VA Bay Pines and served as a member of Tampa’s Park Board. In lieu of flowers, donations may be made to the Florida United Methodist Children’s Home, 51 Children’s Way, Enterprise, FL 32725 (www.fumch.org). A private service for immediate family will be held at the Florida National Cemetery.